Jon Shirley quit Microsoft’s board just over a year ago and some days ago we also saw Sam Ramji quitting. Another new departure is James Cash, a board member of Microsoft. The board carries on shrinking as more and more people decide to leave while Microsoft is spinning. Cash is “stepping down due to increasing pressure on his time from other professional and personal commitments,” according to the Microsoft news release. The Microsoft board didn’t make any mention of nominating a replacement. If it doesn’t, the size would shrink to nine members. 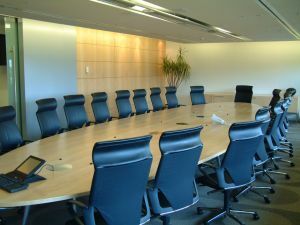 The indication in the past has been that the board sees its optimal size somewhere in the range of eight to 11 members. Why is Microsoft’s Management Getting Out of Microsoft?